Bhuaigh triúr páiste ó Rang II an Comórtas Scríbhneoireachta Cruthaitheacha an mhí seo caite, eagraithe ag Leabharlann Cathair Luimní. Bhí níos mó ná 500 iontrálaithe ó scoileanna na cathrach. Comhghairdeas leis na bpáistí ar son an sárobair a rinne said. Seo thuas ár daltaí leis an Maor Micheál Ó Síocháin. 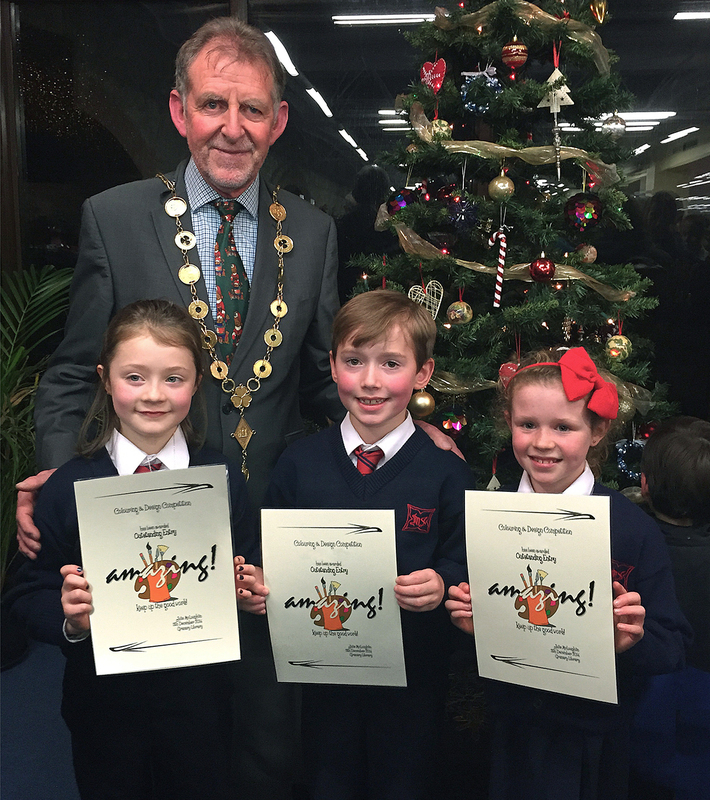 We had three awardees from 2nd class in last month’s creative writing competition, run by Limerick City Library. Over 500 entries were received from schools across the city so big congratulations to our pupils for their great work. Our delighted students are photographed above with Mayor Michael Sheahan.